Mary: The Mercy Journals is a story that takes place in the near future after climate change has caused terrible changes in humanity and the natural environment. There’s been a major die-off in population and the formation of a dystopian government. I think there needs to be more good fiction these days that accepts climate change is happening and which explores, via storytelling, how climate change already affects us and will continue to do so. Running dragonfly.eco, I see hundreds of novels about climate change, but only a few really getting press. So when well-known and reviewed writers such as yourself lead the way in this growing genre, it is exciting to those of us who study ecological works in fiction and who just plain love reading page-turner novels at the same time. What made you decide to write about this subject? Claudia: The pathway was not 100% direct. I knew I wanted to write about a genocide, and I did not want to write about one that had already happened so I decided to write about one in the future. That immediately brought climate change to the foreground. Climate change is an issue I’d been following intensely; I believe it is the defining issue of our generation and will be for generations to come. My first two novels had evolution, reproduction and war as strong themes, and I’d have to say evolution is the intellectual lens through which I see the world. I believe we are coming to, or are at, a watershed moment both in our evolution and our history. Up until now, the trajectory of western civilization’s cultural, economic, demographic, and social structures has been one based on growth. Common sense tells us this is coming to an end. Writing The Mercy Journals, I became fascinated about what might come next, and exploring ways in which some things might even be better in a post-climate change world. That being said, a novel must first be a page-turner, its territory is character and story; it cannot be didactic or polemical. I noticed as I wrote The Mercy Journals, that climate change was more a background for the story than the element that drove it, and occasionally I questioned whether there was a way to make it even more central. Then I read a quote from the Pentagon stating that climate change would lead to a future where “once again warfare would define human life,” and I knew exactly what I was doing with this story. Mary: Your novel forebodes a scenario in which a Donald Trump-type politician could become president. The scene on the border with Mexico was one of the most surreal, greatly written instances of horror I have ever read in fiction, but I could see it really happening. I think when we read fiction, we sometimes think, oh, hahah, that could never happen. But it could and does. It is not unbelievable, much like the effects of climate change. Years ago, the world laughed at the thought of Trump running for president–yet now it is happening. Many of us are just shocked by the real fear, hatred, arrogance, and lack of scientific reality this potential president rides on, yet it is there, proof that millions also think that way. It is a scary time to be a human, in my opinion. I wanted to thank you for that scene. It’s a total wake-up call. I won’t spoil it for readers who need to read it for themselves, but do you have any thoughts about writing that? Claudia: There’s a quote in the book when Allen Quincy says to Ruby, the faintly feral dancer who walks into his carefully controlled life and upends it, that fits your question perfectly: “Horror is not surprising, I said. Not at all. It’s surprisingly familiar. An old friend on the street who you recognize at a distance. It is not unimaginable at all. People who say it is are lying.” One of the reasons a candidate like Donald Trump is so terrifying is that he speaks directly to an almost limbic part of our brains. He feeds instincts that we have for our survival, fear of strangers for example, instincts that can easily be manipulated on a mass level for devastating outcomes. Mary: That’s a good way of explaining his draw. The novel is not only driven by the backdrop of climate change and economic injustices galore, but it’s very character-driven. Allen Quincy (nicknamed Mercy) is one guy who I hope becomes a modern day literary hero. He is every human in a way. The character reminds us that any of us placed in impossible situations may behave in ways that defy who we think we are or have the capability to become. I interviewed M Jackson not long ago, author of While Glaciers Slept. In her book she uses the term unimaginable to describe horrors we experience as people. I like that term and will use it here. Quincy experiences PTSD and has been “dead” for a while. 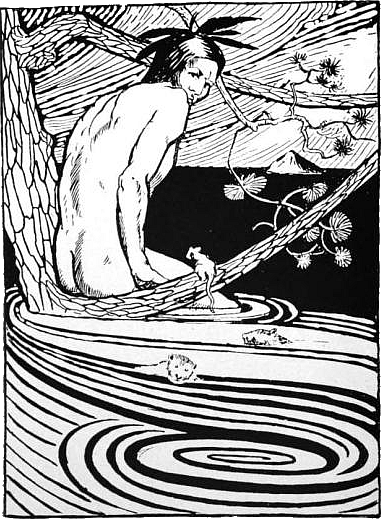 Escaping into drink and drugs he is tempted into dying more, metaphorically by worms that typify death and decay even though superficially they are happy worms. I didn’t like him at first, but good authors have a way of making you relate to their main character, and he is redeemed in several ways, showing he has the courage to become alive, even in tough times. How were you inspired to create Mercy? To see so deeply his unimaginable personal situation and story creates quite an impact. Claudia: Years ago I read a news story about Romeo Dallaire, the Canadian general who headed up the UN peacekeeping mission to Rwanda at the time of the genocide, being found drunk and suicidal on a park bench in Hull, Quebec. He was the first spark for the character of Allen (Mercy) Quincy. One of the underlying forces for Mercy’s character came from my deep unease at the rhetoric used by politicians and journalists post 9/11 and in the conflicts since then, that presupposes that only certain nations and ethnic groups perpetrate horrors in times of war. It’s only those people, read the Germans, African nations, the Arabs, who commit such crimes against humanity. This kind of presupposition disturbed me profoundly, one, because it’s a falsehood used manipulatively to lay the foundations of war, to make one group see another group as inferiorly human. Secondly, I fervently believe that murder and genocidal behavior are part of who we are as a species, and under the right external conditions, any group is capable of it. If we have any hope of limiting the behavior stemming from this side of our natures, we must own it first. I did a lot of research into PTSD, and that too fed the character of Mercy. During my lifetime, I have experienced a couple of violent events (my first husband and I were attacked in front of our house by a mob – neighbours saved us; and I was in a relationship years ago that was physically violent), and have suffered mild PTSD because of them. I suspect most people don’t get through life without suffering at least an element of PTSD – life being a rough sport as well as a magnificent gift. Mary: I’m sorry that you had to go through that, and I’m glad your neighbors stepped in! Though The Mercy Journals delves into horror, it’s not just a horror story. There’s plenty of humor, romance, appreciation for the natural world as it diminishes, and exploration of familial ties, even edging into surrogate families when biological families dissolve. Toward the end of your story, a Cain vs. Abel type feud flourishes between two brothers. What does this symbolize as far as the novel’s exploration of the impact of climate change on humanity? Claudia: Literature is always a reworking of ancient myths and fairy tales, a way of bringing them into the present and, like a two-way prism, shedding light on the story being told, and the stories from the past. This is a tricky question to answer without giving away too much of the ending. Suffice to say, it is about the struggle to break through to something that is truly new and fresh, which I believe we will have to do to deal with climate change’s impact. Mary: I always ask authors who their literary inspirations are; who are yours? And, more specifically, any eco-fiction authors? Claudia: In the latter group are Margaret Atwood, clearly, from The Handmaid’s Tale to the MaddAddam trilogy, and Cormac McCarthy’s The Road, though that novel is perhaps only tangentially eco-fiction. I loved Station Eleven, by Emily St. John Mandel, but perhaps because the catastrophe is a virus not directly linked to the environment or climate change, it doesn’t quite belong to the eco-fiction genre. Other authors who have inspired me recently are Julian Barnes’ The Sense of an Ending for its elegant and unique structure; J.M. Coetzee for the incomparable and ballsy novel, Disgrace; Franz Kafka’s iconic The Trial and Metamorphosis; and the delightful Kurt Vonnegut – everything he ever wrote. I look forward to discovering new eco-fiction authors. A friend just recommended J.G. Ballard’s High Rise. Mary: As an aside, High Rise has been made into film, and I want to see it when it comes to Vancouver later this month. New writers creating novels about climate change may need advice from the pros like you. The term “hyperobject” has been applied to things that are so large in scale that they are hard to think about, write about, and truly understand. Many of us feel a responsibility to warn, to publicly admit through fiction, that we are afraid of climate change. Others of us may just want to try to encourage readers to not lose hope, that we can and will survive as a species. Climate change novels come in all sizes and types. Do you have any advice for writers grappling with this crisis? Claudia: Probably the best advice is partly covered in my answer to the first question – fiction can never be didactic. The reader will flee at the first hint, which means it has to be driven by character, by event, by story, or even by interesting structure and language. Creating strong characters is still a process that is a mystery to me. I don’t fully understand how it happens. Grounding your narrative emotionally in character is important to connecting with readers and transcending a straight-ahead polemic. War and Peace is a brilliant, brilliant novel, but most of us skip the third or fourth passages of reportage on Napoleon’s campaign. Force yourself to do the deep think about how characters behave, leave plenty of room for them to behave badly, and how fundamental instincts or behavior tie your novel to climate change. Thank you for these wonderful questions. It is an honour to engage with them. Mary: Thank you, Claudia, for your insight into the world, evolution, war, horror, climate change, storytelling, advice to new writers, and so much more. I very much enjoyed meeting you and having this chat. Best of luck with The Mercy Journals. I loved reading it and very highly recommend the book. 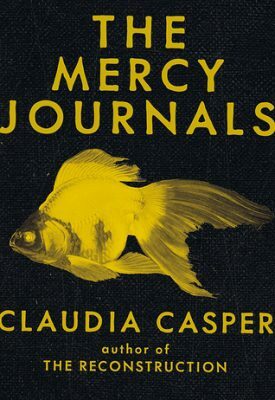 For more about The Mercy Journals, please visit Arsenal Pulp Press.